I've seen some odd movies, but this one is really bizarre, and that's why I like it so much. 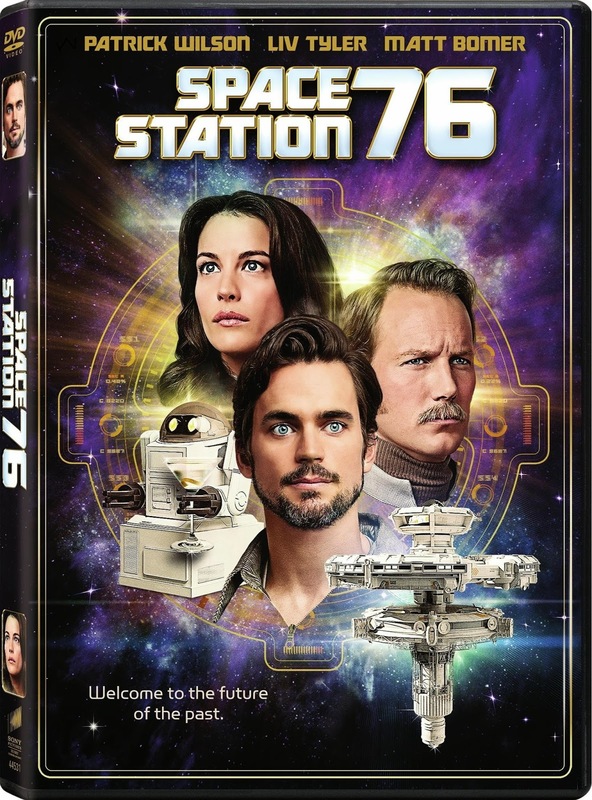 Taking place in the future--but as it would have been imagined around during the 1970's, "Space Station 76" is a comedy, but a really dark one. Like, pitch-black in its humor. 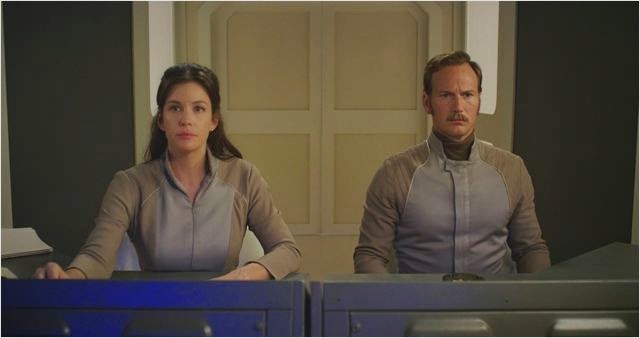 Despite being made on a really small budget it has some quality talent (Hello, Liv Tyler and Patrick Wilson, fancy seeing you guys here!) and if anything else really nails the art-deco style and look of the 1970's expertly. The script was apparently developed through a variety of improv sessions with actors in the film with the director, Jack Plotnick, and the awkward quirkiness of the characters and their interactions carries some of that, "Off-the-cuff," feeling of improve sessions that are going well--except in this movie it seems everything is going wrong, at least for our characters. The captain of the ship (played as wonderfully angry-yet-sympathetic by Wilson) is incredibly sexist and prone to heavy-drinking, with these actions taking place either to hide how he is deep in the closet, or to deal with the emotional ramifications of having to deny a big part of who he is. Liv Tyler's character is sweet and well-meaning but has issues of her own. Wilson and Tyler are two favorite actors in the flick. Besides those two basically everyone else on the ship is a walking mess--from the "cook" (Marisa Coughlan) who spends her time downing Valium when not clicking buttons to order the day's food, to the horribly immature character played by Jerry O'Connell who has a child with a loving wife but doesn't let it stop him from rampantly cheating on her. 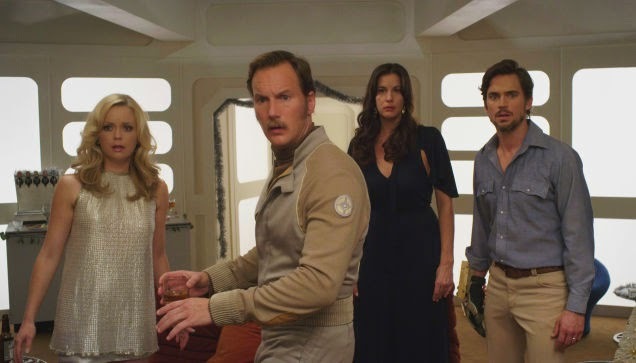 Basically any person in this movie is a wreck except for the sole young child on the spaceship--named Sunshine (played by Kylie Rogers), who seems old enough to realize the adults around her are disasters, but young enough to have the naivete that things will work-out. With such miserable characters you would be forgiven for thinking the movie was a depressing slog, but the film actually uses this sadness quite well, to bring us a variety of humorous situations that might cause you to cry if you weren't laughing (the captain's repeated failures at attempting suicide are sold wonderfully through the discouraged look on Wilson's face every time the ship counteracts his efforts through its safety measures). Also, the movie will occasionally inject just enough optimism into the proceedings to keep you from feeling as down-in-the-dumps as everyone else on the ship, with the genuine bond between Liv Tyler and Matt Bomer's characters (a repairman on the ship who is married to Coughlan and the struggling-father of Sunshine) giving us some much-needed joy when they laugh and smile together for what feels like the first time in a long while for the people they play. A review of the movie on Rogerebert.com says that the reviewer has, "...no idea who the audience for this film is, beyond the people who made it, and that's what makes it special." I agree with that thought, but would argue that I someone in the audience for this film--a person who likes dark comedies with plenty of pathos but also pieces of soul. Yes, a person who wants to really feel for the characters when they're down and smile when they are allowed some joy would enjoy this. I'm one of the members of the prime audience for this film--someone who likes strange and unique movies. Should you be someone who does also I recommend you check this out via your video rental store/Redbox/On-Demand/whatever, or you could even buy it. Folk still buy movies in this version of the future we live in now, right? If you do, and fit the demographic for this movie I described, perhaps buy it, you most likely won't regret it.